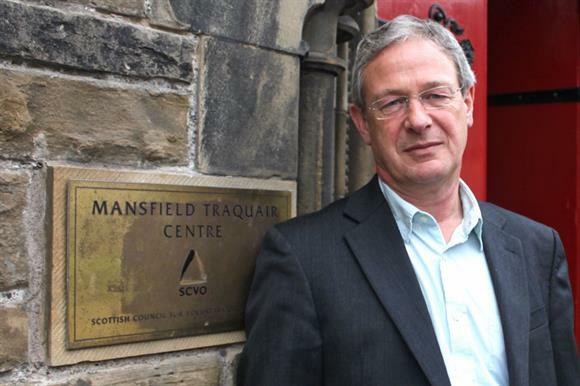 Martin Sime, chief executive of the Scottish Council for Voluntary Organisations, has called for William Shawcross to resign as chair of the Charity Commission following the "inexcusable" comments he made in The Times newspaper about charities last weekend. Several sector commentators have complained about the interview on social media and blogging sites in recent days, criticising in particular Shawcross’s reference to Oxfam’s tweet about austerity last year and his disapproval of the RSPCA’s "zeal for prosecutions" and its campaign against the government’s badger cull. In a letter to Shawcross, seen by Third Sector, Sime said that he should resign from his position "forthwith" because the views and prejudices he held brought his office into disrepute. Sime said that although the Charity Commission was not responsible for the regulation of charities in Scotland, Shawcross’s comments appeared to be designed to undermine public trust and confidence in charities beyond national regulatory frameworks. "The irresponsible and negative consequences of what you have said will be clearly felt by the public, by members of SCVO, and by charities throughout the UK," he said. He acknowledged that Shawcross was not responsible for the media’s failure to convey the geographical limitations of the commission’s remit. "I find it inconceivable that you should cast aspersions on the strategies and workings of individual organisations which have broken no rules or committed any crimes," the letter continued. "Your rehash of various scare stories which are characterised by a lack of evidence, and the utterly false conclusions you draw from one reported incidence of fundraising abuse, do not speak of an individual who is capable of conducting the affairs of the Charity Commission in a fair and impartial manner." Sime concluded by saying that the sector faced significant challenges to its accountability and legitimacy on a daily basis because all its work was underpinned by public trust and confidence. "That is precisely what makes your recent intervention inexcusable." A spokeswoman for the commission said in a statement that Shawcross was "surprised at the tone" of Sime’s letter and that he would reply in due course. She said she was not aware of Shawcross considering his position. Shawcross’s interview with The Times also drew criticism from Andrew Purkis, a trustee of the international development charity ActionAid who served on the commission's board between 2006 and 2010. Purkis told Third Sector that the tone of Shawcross’s comment was a continuation of the "finger-wagging" approach the commission had taken towards the sector since early 2013. He said his comments regarding the RSPCA and Oxfam were nothing new and demonstrated how the commission appeared to have lost sight of the important contribution charities made through their campaigning. But Purkis described Sime’s letter as "counterproductive and too personal". Other sector figures have taken to Twitter to criticise Shawcross's comments, including Stephen Elsden, chief executive of the disability charity Compaid, who said the commission "should be ashamed"; Ian MacQuillin, director of the fundraising think tank Rogare, who said Shawcross had an "anti-fundraising agenda from the moment he took up the reins"; and Mark Goldring, chief executive of Oxfam, who described the comments as "predictable attacks".